<Captain Phillips> is indeed a slick, smart and powerfully acted with an incredibly intense movie. This based on a true story movie directed by Peter Greengrass who successfully made one of his most well received movies by movie puffs in <The Bourne Ultimatum> of his omnipotent style of intensity. Besides Tom Hanks for his superb and highest level of performance is never a single doubt in any role he played and yet the lead pirate played by a real Somali immigrant and a formal taxi driver Barkhad Abdi was well casted for his debut role in this film and equally steal the limelight of the movie. Despite Abdi's skinny physic, he is rather intimidating. This pulse-pounding thriller is an unstoppable collision when the unarmed ship was hijacked. 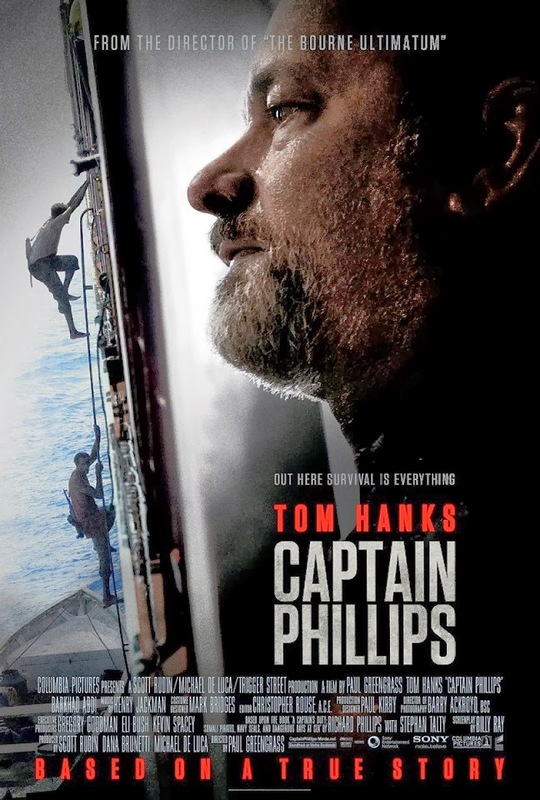 The inescapable tension situation was brilliantly executed with Hanks being the accidental hero in which the real-life Captain Phillips did contribute and provide the basis for this movie from his book <A Captain's Duty : Somali Pirates, navy SEALs, and Dangerous Days at Sea> by Richard Phillips with Stephan Talty. The last 10 minutes of the film showed Hank's brilliantly acted in his so subtle role yet with phenomenal expression while he was being rescued. The entire situation was featuring people under extreme duress and boy, you better sweat it out. Did you not see this coming?